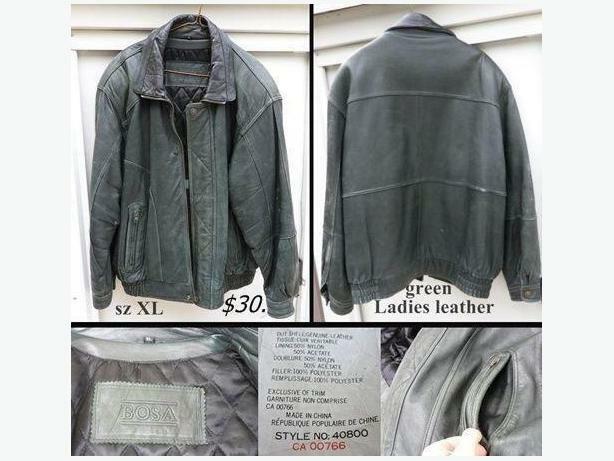 It's greenish leather and is a ladies jacket though it might be unisex as my husband has worn it a few times and when he does it looks like it's men's wear. It's more for spring and fall and not really winter. Transcona near club regent casino.